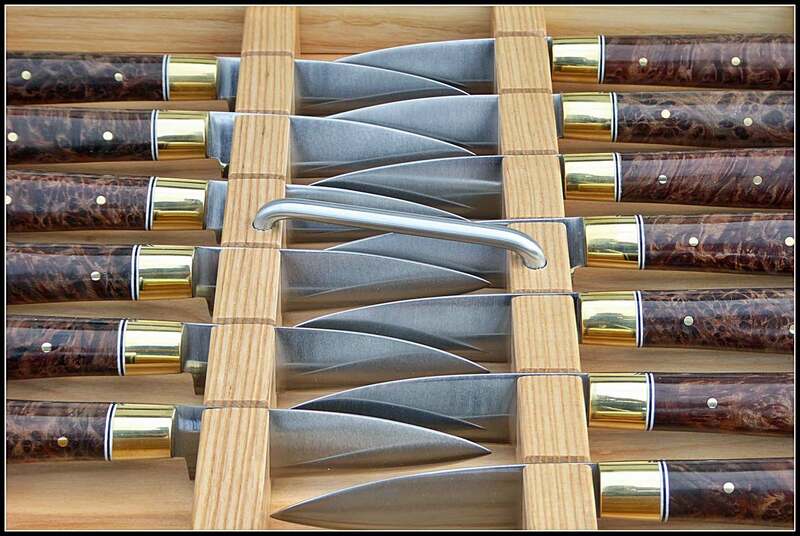 Give a gift or knife storage. 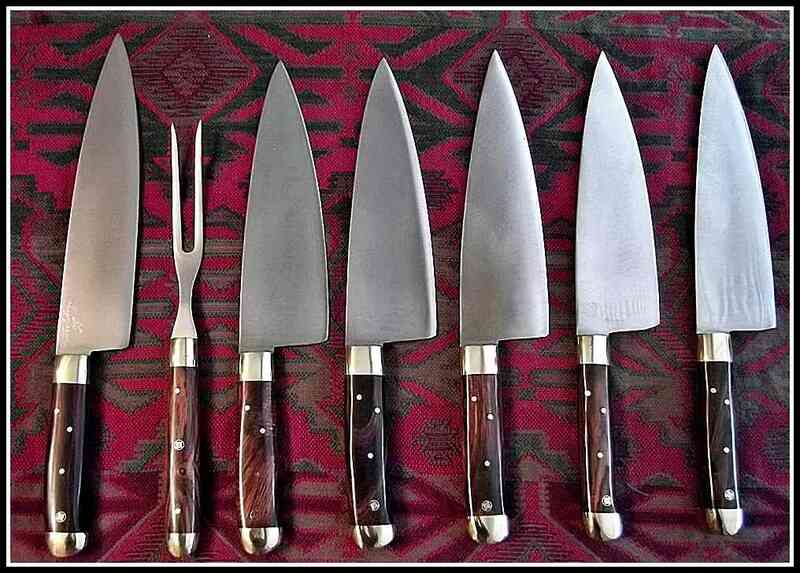 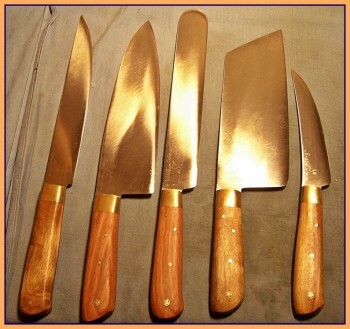 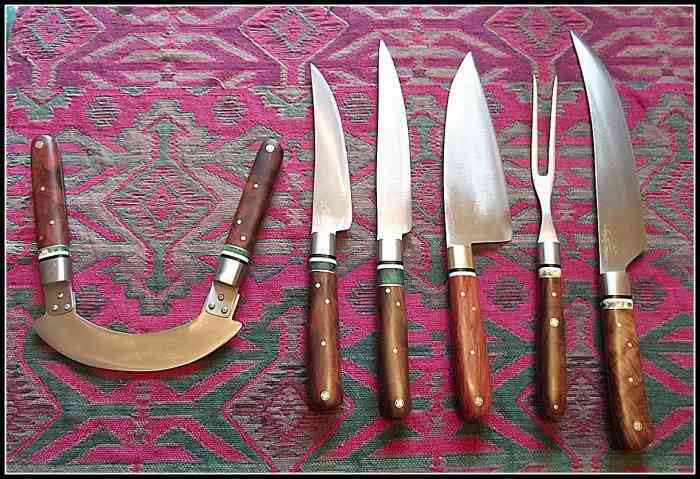 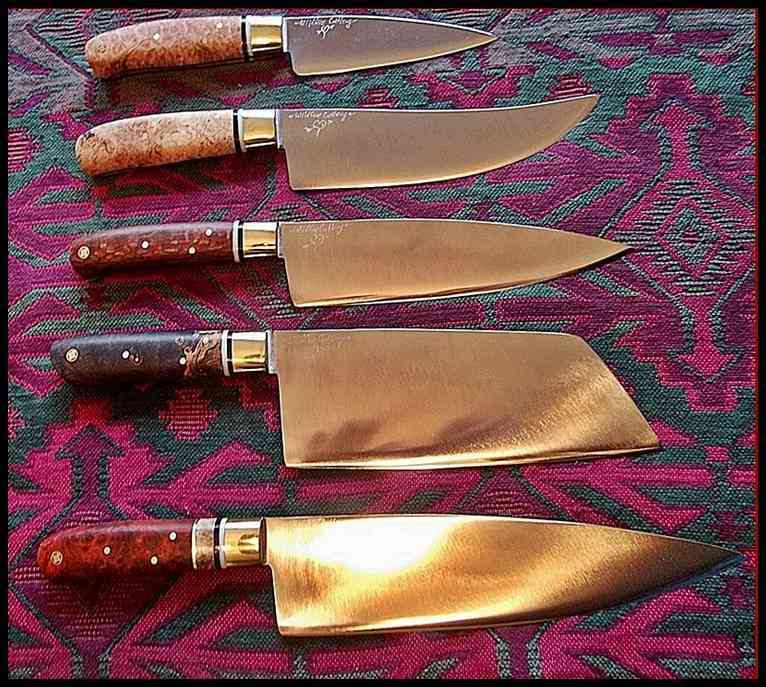 How Michael Lishinsky’s kitchen knives are made – all the details ⇒ see HERE⇐. 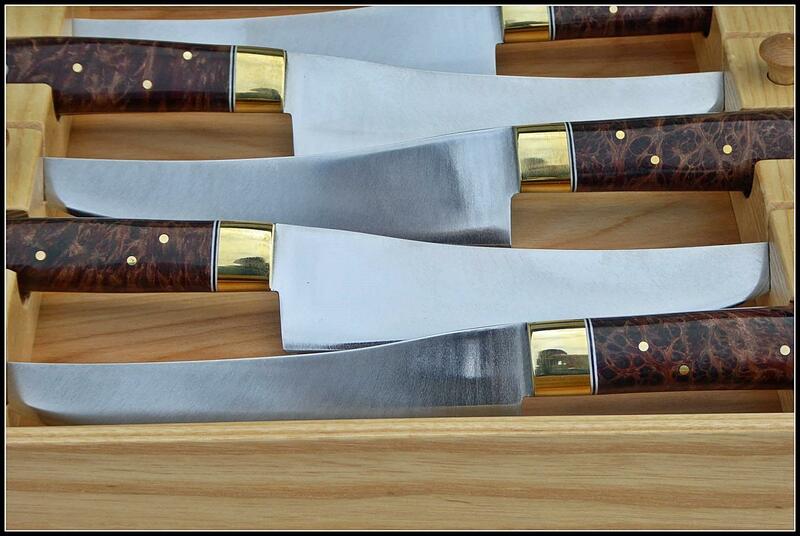 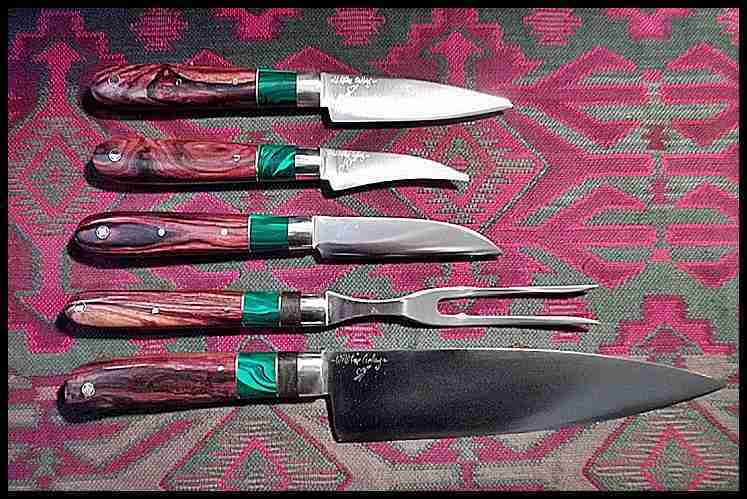 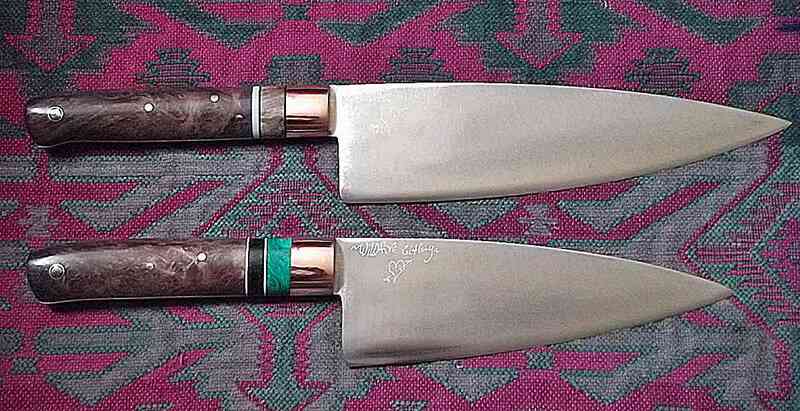 I am a full-time maker of hand made carbon steel Western and Asian inspired kitchen knives. 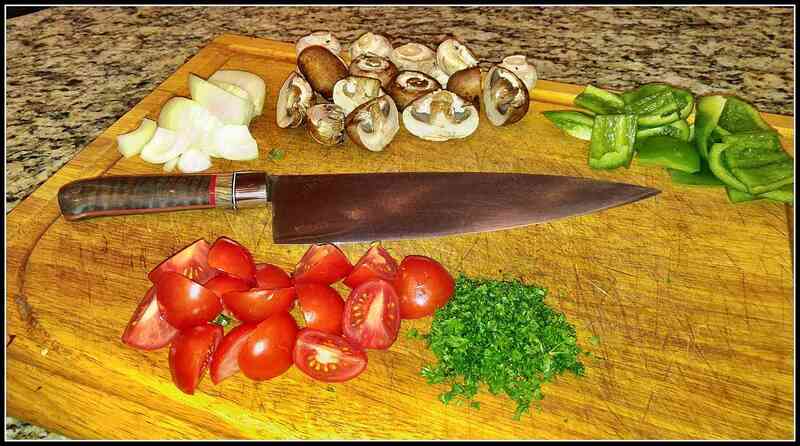 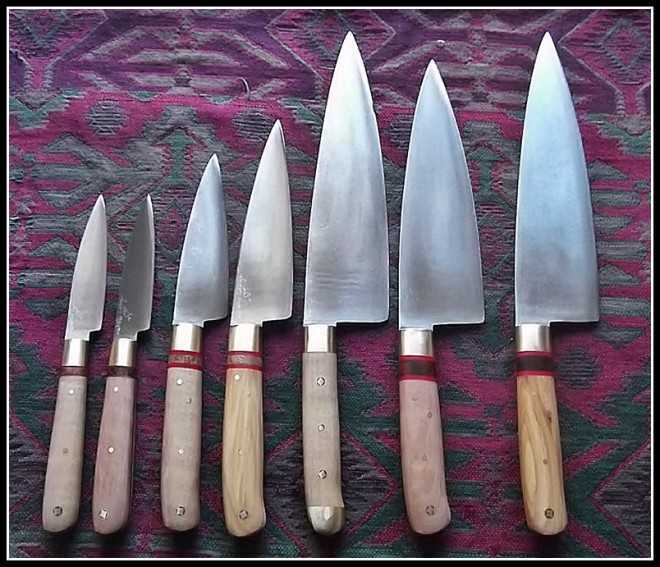 When I have time, I make kitchen knives to my own design, and ⇒list them on my kitchen knives in stock page⇐. 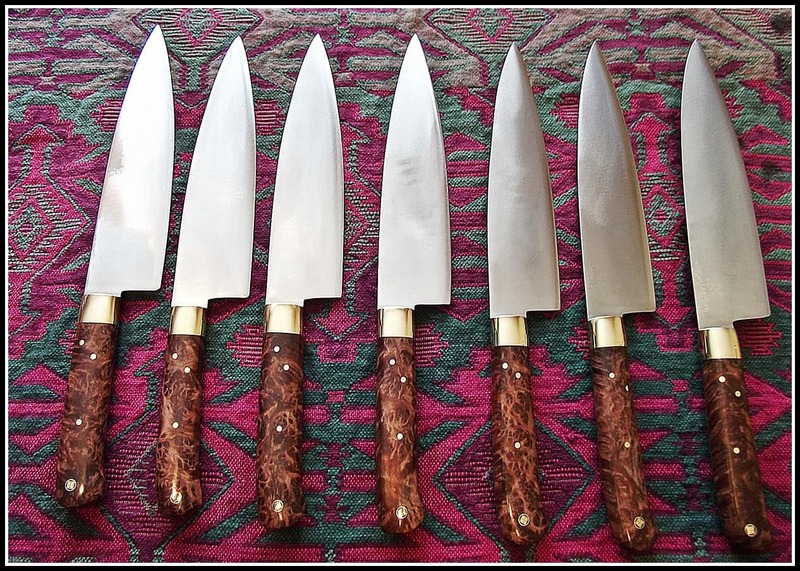 However, most of my time is spent as a custom blade smith, collaborating with folks from all around the world, who commission me to create kitchen knives, from high carbon steel and local hardwoods. 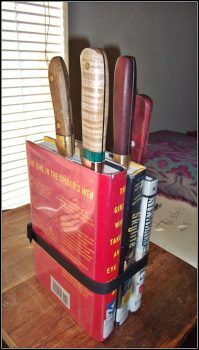 I have a masters degree in individualized education from C.C.N.Y. 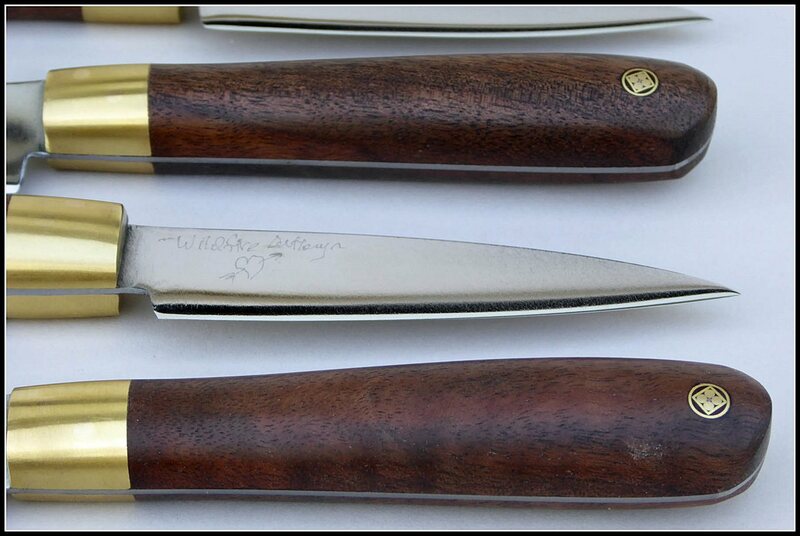 (1974), which when combined with my 38 years full time smithing experience, ideally suits me to collaborate seamlessly with each person who contacts me, on design options, cost, etc. 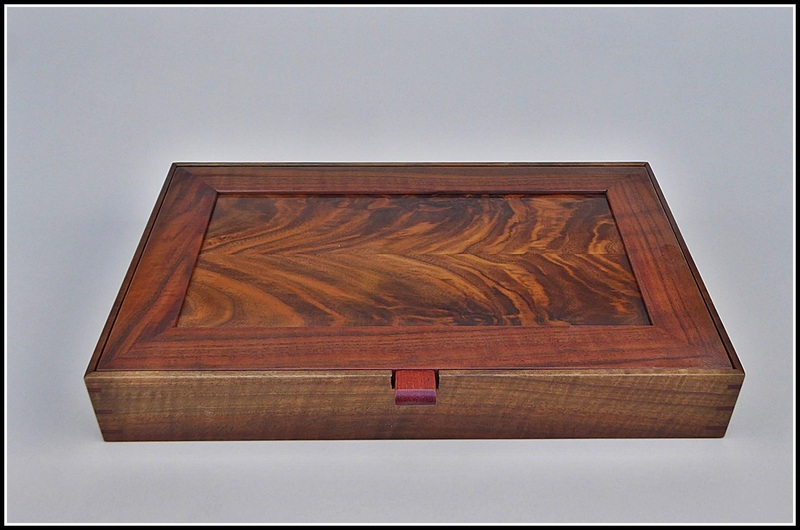 You can see some of my work in the slide show on this and other pages. 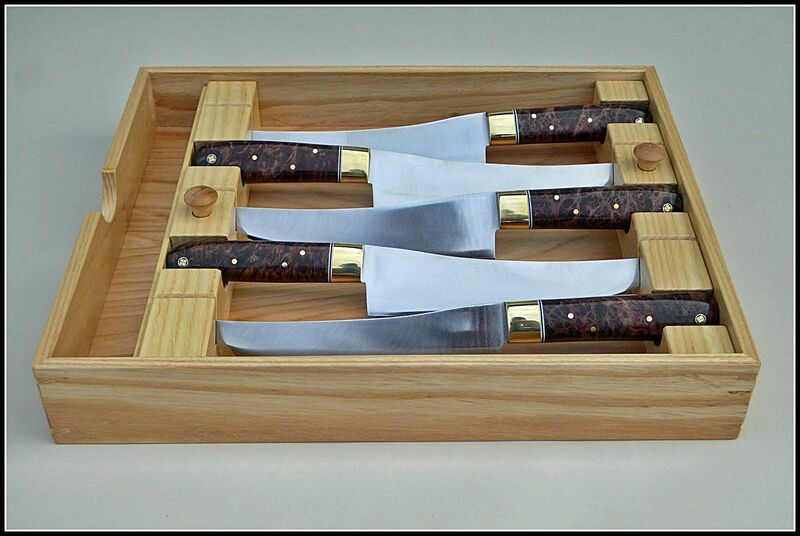 I really enjoy the process of collaboration and offer this design process free to any and all interested clients. 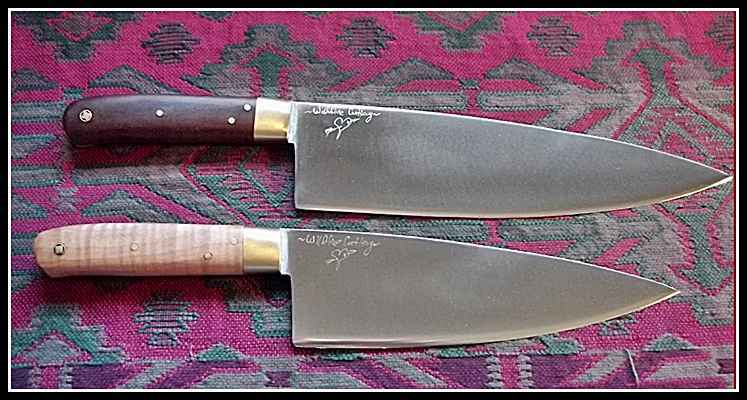 You can read and absorb this whole site or just ⇒ contact me ⇐ with your ideas and we can easily hash out a design plan and cost for your custom kitchen knife (knives). 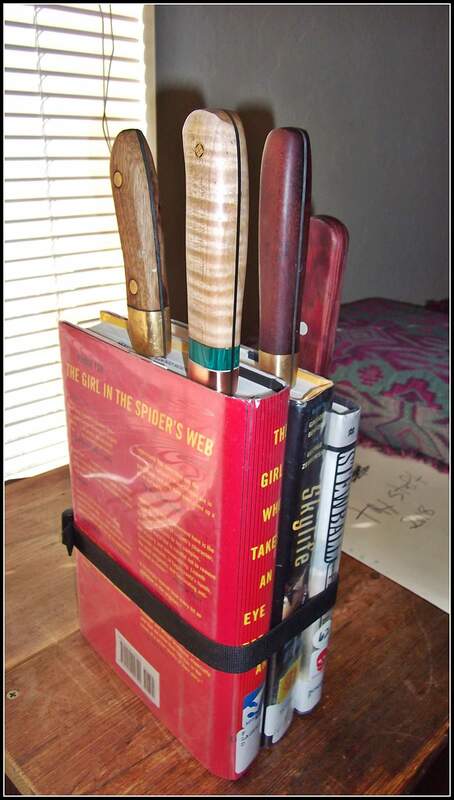 Please do cruise around my pages & slide shows, using the menu above and let me know if you see something you like. 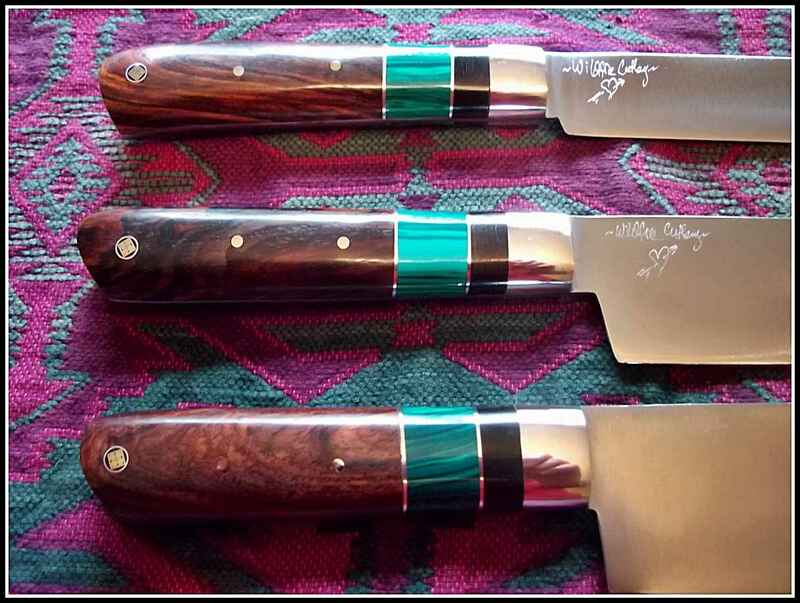 Various items I have made 2018 – 2019, as a slide show. 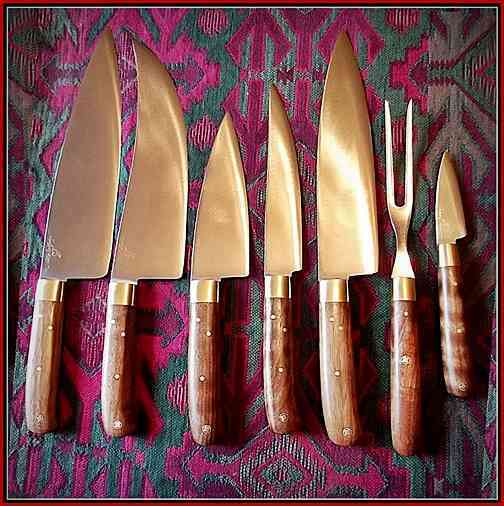 1085 Mission St, San Francisco, CA 94103 – grand opening, March 2018. 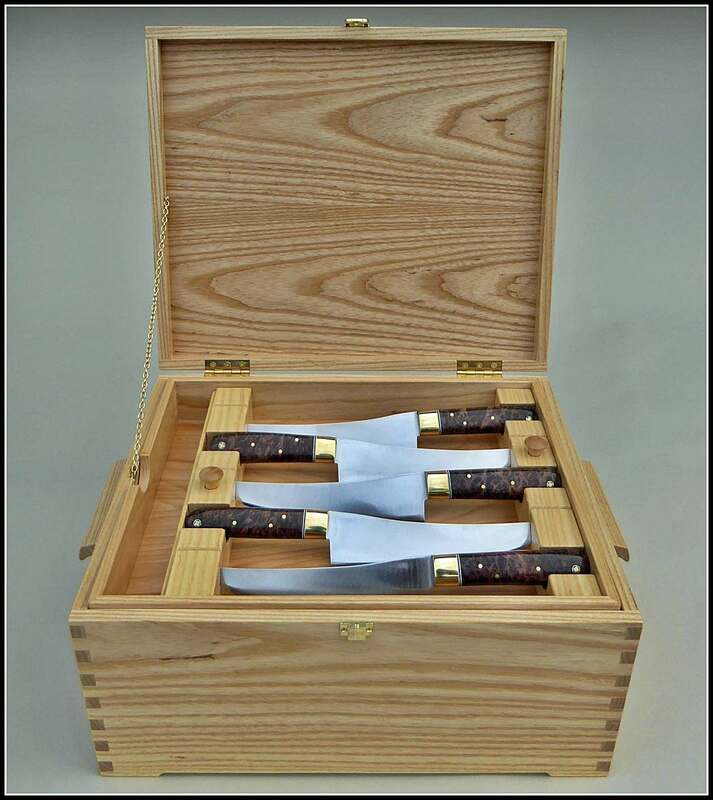 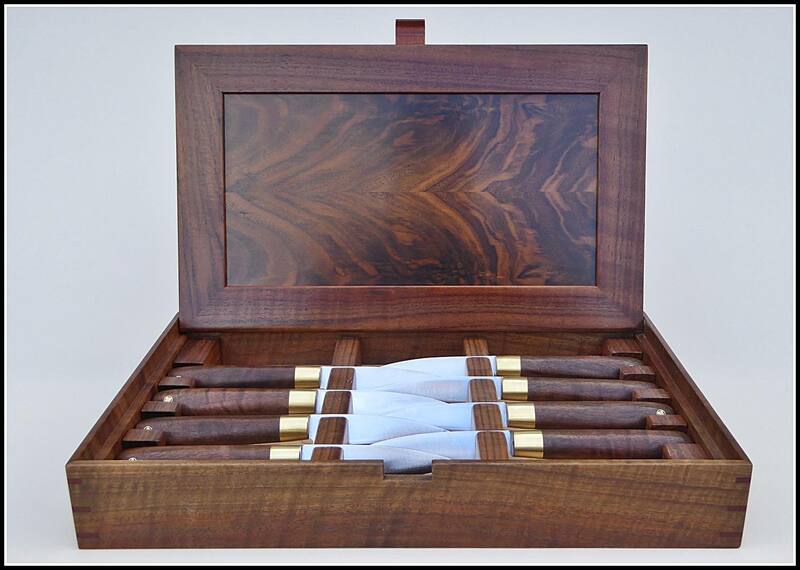 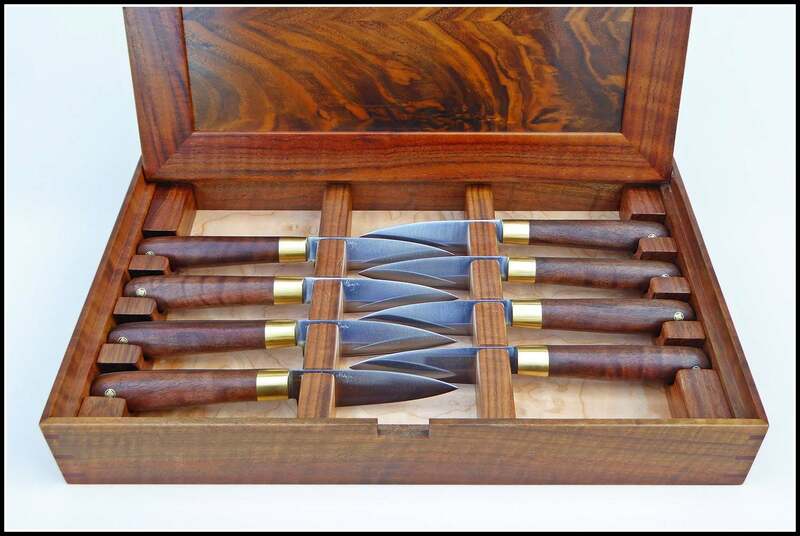 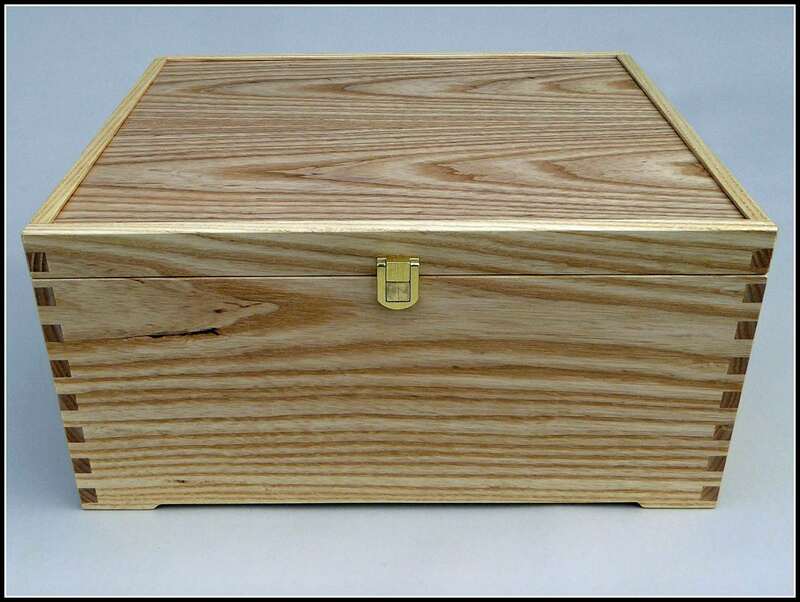 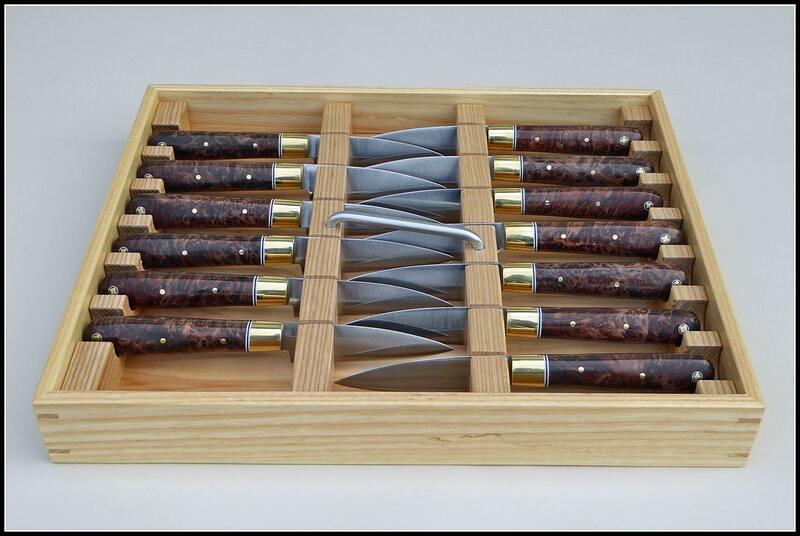 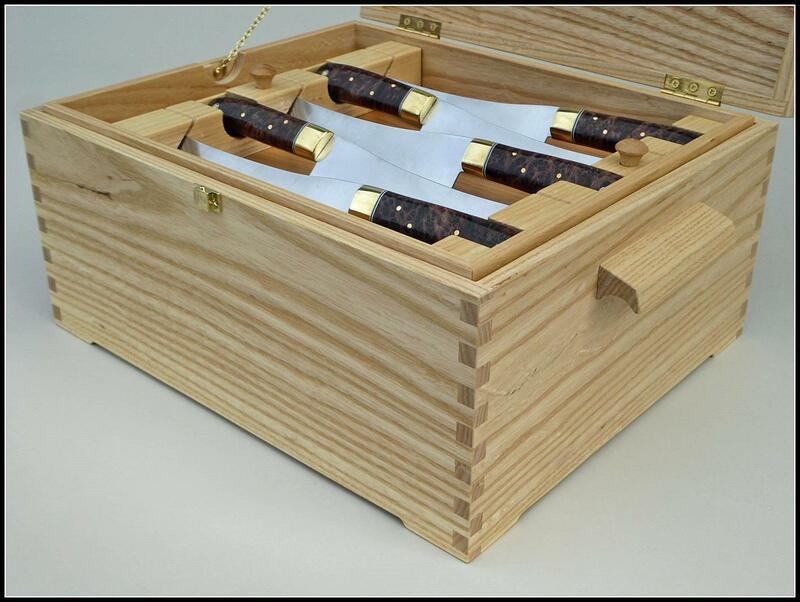 Ash wood chest, with 3 trays containing 4″ steak knives and 8″ x 2.5″ Carving knives, as designed by chef/owner Chris Bleidorn. 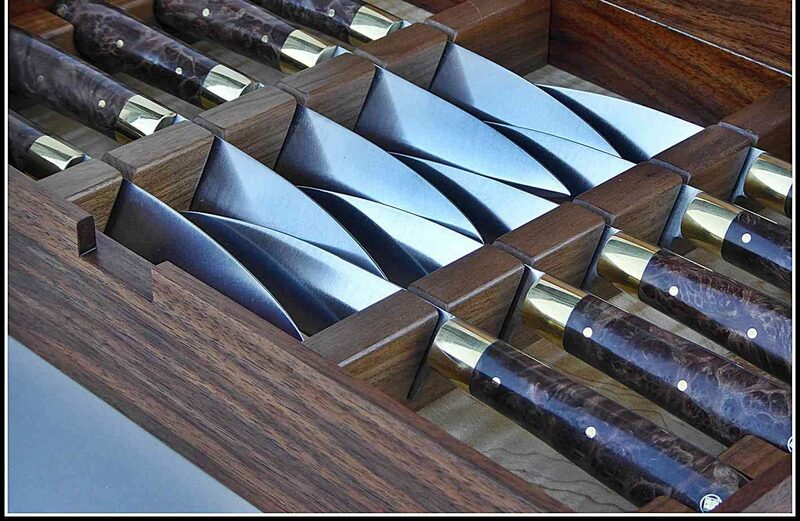 Woodwork done in Ashland, Oregon by Jens Sehm, cabinet maker, and Michael Moses Lishinsky, blade smith.